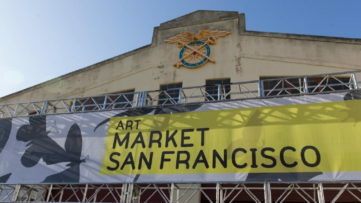 Enormous plastic ice cream, huge balloon dogs, or enlarged photo portraits plastered on buildings around the world are some of the examples where scale in art is the dominant element of the artworks’ aesthetics. Scale refers to a size of an object in relation to another, and is one of the principles of organization of structural elements in art and design. Scale does not stand for the size of an artwork, but is a relational principle which is usually defined through the ratio of an object to a human body or another object. Relational aesthetics stands at core of each artwork and human body is often the corrective against which the size of each piece can be discussed. As humans put themselves in the center of the visible world, as masters of the living environments, artworks are measured regarding proportion relative to generalized human scale. They became defined as large, life-size, miniature, or even enormous. The scale is thus something that is habitually examined, and is often an important factor in defining the meaning and significance of each work, particularly in contemporary art. Different scaling is applied in art when something needs to be emphasized, or when through disproportionate size the importance of the represented is underlined. This does not mean that we are constantly bombarded with works that have unusual scaling patterns, but that scale is an essential element that is present and thought out even in works that at first observation do not seem to stand out regarding this element. Paying attention to and elaborating on scale in art is therefore an important aspect in any artistic evaluation and criticism. Exploring how scale influences viewing experience through examples, we will see that artists’ decisions on the scale of their works are based on the represented motifs, cultural traditions and the message they are trying to convey. Sometimes this message may not surpass the pure aesthetic enjoyment in each piece, but even in these circumstances scale is carefully decided on. 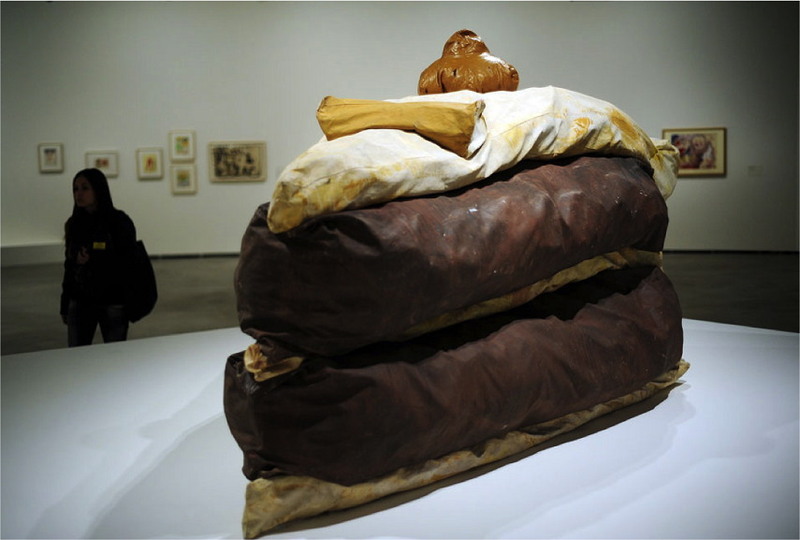 One of the leading figures of Pop Art, Claes Oldenburg started experimenting with scale of his works in early 1960s, inspired by midtown showrooms on Manhattan displaying grand pianos and luxury cars. His exhibition in 1962 at the Green Gallery in New York showcased for the first time his soft sculptures created with the help of his then wife Patty Mucha, who made his sculptures from fabrics. Pliant material of Floor Burger, Floor Cake, and Floor Cone, to mention a few, was a groundbreaking moment in sculptural history transgressing its postulates of firmness and rigidity. The choice of motifs he represented in colossal scales, such as everyday food, brought humor and whimsy in high art and opened up the field of sculpture to subjects from everyday American life. As the artist stated: “my art is made for human beings, and it’s important that people enjoy the experience of seeing it.“ He continued his practice in this field over the years, and moved away from galleries to open spaces where his sculpture reached truly gigantic proportions such as in Dropped Cone or Shuttlecocks. These works were created in collaboration with his second wife Coosje van Bruggen. By enlarging ordinary objects to enormous proportions, Oldenburg shrinks the viewers, reversing in this way the traditional relationship between the viewers and the observed objects. His oversized sculptures also possess a critical edge showing an insight on American culture and aiming at its absurdities. 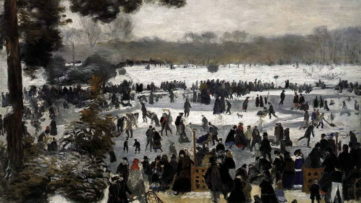 Miniatures are one of the art genres where scale is defined by the purpose of the works. Created in different periods and meridians they appeared in votive and religious books, such as illuminated medieval manuscripts, but portraits and paintings were also occasionally made in miniature. 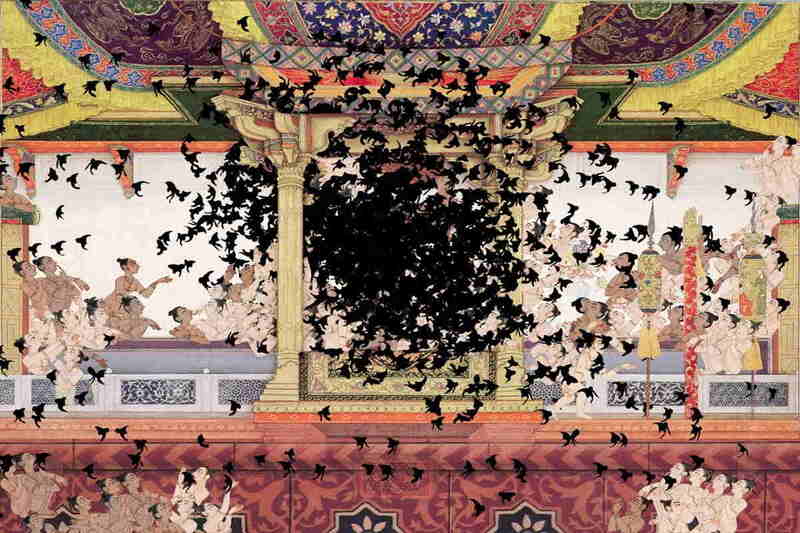 A Pakistani born artist Shahzia Sikander is one among the contemporary creatives who experiment with such artistic traditions and use scale to re-proportion the symbolic meanings such works inherently have. Her interest, among others, lies with Persian miniatures which represented religious or mythological themes. Even though Islam forbids figurative representations, in small-scale art made for private use such prohibitions were often ignored. The Gopi women hairdos that are disembodied and seem to float and swirl into a Mughal court are one of her early motifs she used in large-scale video SpiNN (2003) and many miniature paintings before. Fascinated with their aesthetics that “had this wonderful silhouette… that could look like bats or birds” she continued to experiment with them, driven primarily by the interest in conceptual “distance between the translation and the original…of examining a style, school, genre, and developing a relationship, a language, a dialogue with it.” Sikander finds inspiration in the past, which she transforms and translates into contemporary genres. 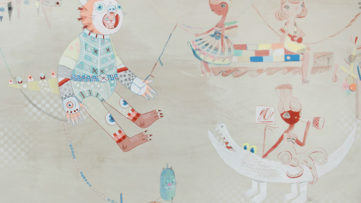 Scale of the works she references is encumbered with historical meanings and religious postulates. However, in her mixing of history, personal feelings and experience she shift the perception and challenges the ways we see both her work and the past. Mixing of imagery taken from different historical references, such as, for example, in The Last Post (2010), where a colonial officer of the East India Company appears in a Mughal court, creates a visual hybrid in which polarities between Hindu and Muslim, East and West, representation and abstraction seem blurred. The use of small-scale genre in her large-scale videos invites to a broader questioning of cultural relationships between the East and the West both in the past and the present. 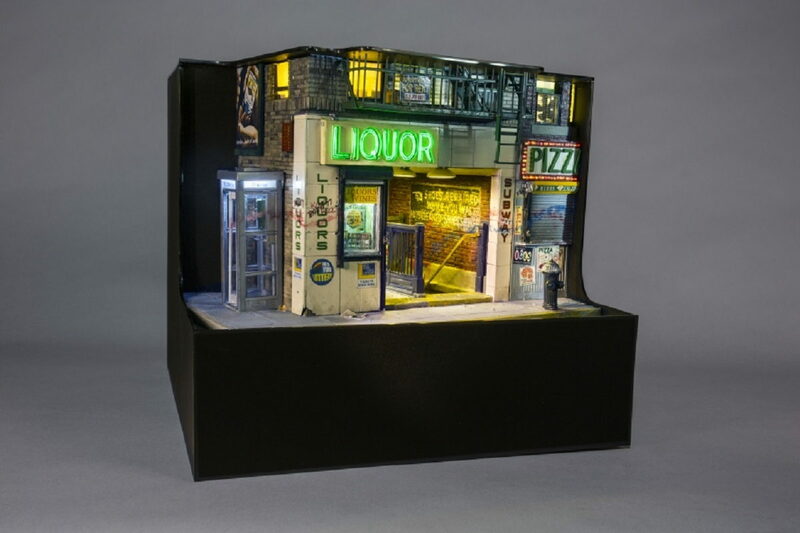 In contrast to Shahzia Sikander’s practice, Alan Wolfson takes as a reference one of the largest cities in the world, New York, and transforms its gritty reality into sculptural miniatures. Scaling down the streets, subway entrances, flats and other elements of urban environment, his primary interest is in the story behind them: “I’m providing you with clues to a narrative, telling a story with minute details… The real impact of my work is not in how small everything is but in the stories these small things tell.” His dioramas are free of humans, and resemble a contemporary memento mori made in sculpture, where graffiti, trash, or half-eaten food recalls human presence that was once there. He also immortalizes spaces and buildings that are lost to gentrification creating in this way a monument to a city that does not exist anymore. By putting such representations in miniature forms, Wolfson pushes for an intimate observation of urban conditions created by humans. Scale is essential for viewing experience, not just in fine arts, but also in architecture and other visual media. It defines the meaning of a work, and is one of aesthetic elements central to its making and reception. Scale questions the role of the viewer and perhaps more than other elements directs attention to the relation between a work and location or place. It is one of the crucial aspects of art that affect the reception of each work as an actual artwork. As seen from examples given above, scale is used as an expressive element that is often pregnant with historical and cultural meanings. Referencing and rescaling of different works and objects infuses the reading of art with original interpretations, unencumbered with general theories of world art, and national and geographical distinctions. 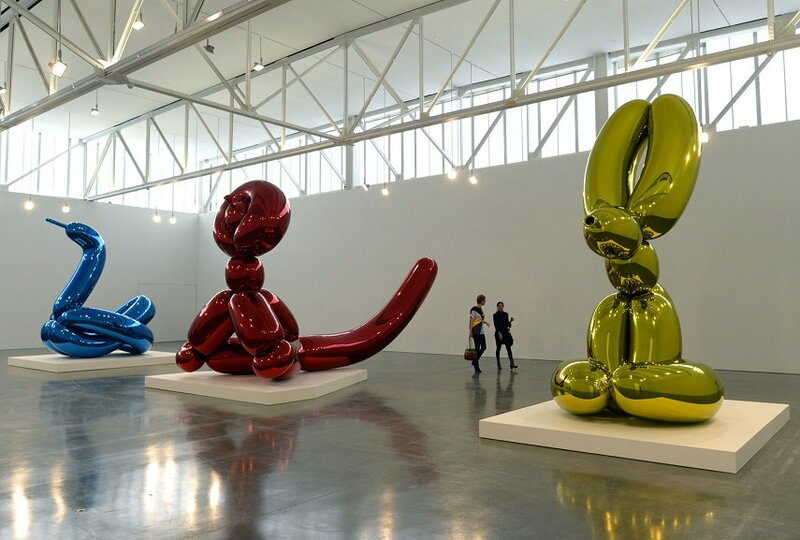 Among contemporary artists there are many who play with scale, including some of the best known such as Jeff Koons. Significance of their works partially comes from unusual scale their works have, which disrupts cultural traditions and viewing practices. Featured images: Shahzia Sikander – Video Still from Spinn, 2003. 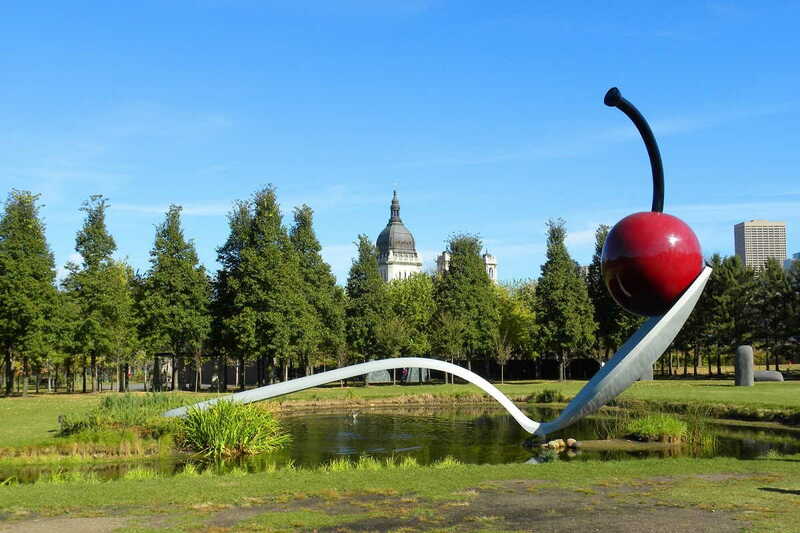 Image via angryasiangirlsunited.tumblr.com; Claes Oldenburg – Sculpture in Minneapolis. Image via pintrest.com; Alan Wolfson – Bay Ridge Subway Entrance, 2016. Image via hollistaggart.com. All images used for illustrative purposes only.